Today, we kicked off our Marketing Superhero Bootcamp with an awesome session by Rand Fishkin, the Founder and Wizard of Moz. His session on “Why Content Marketing Fails” was entertaining, and I was only sorry we couldn’t hear the audience’s laughter. There were many gems in Rand’s training session, such as content marketing takes time and a lot of content to start showing a difference in reach, web traffic and influence. 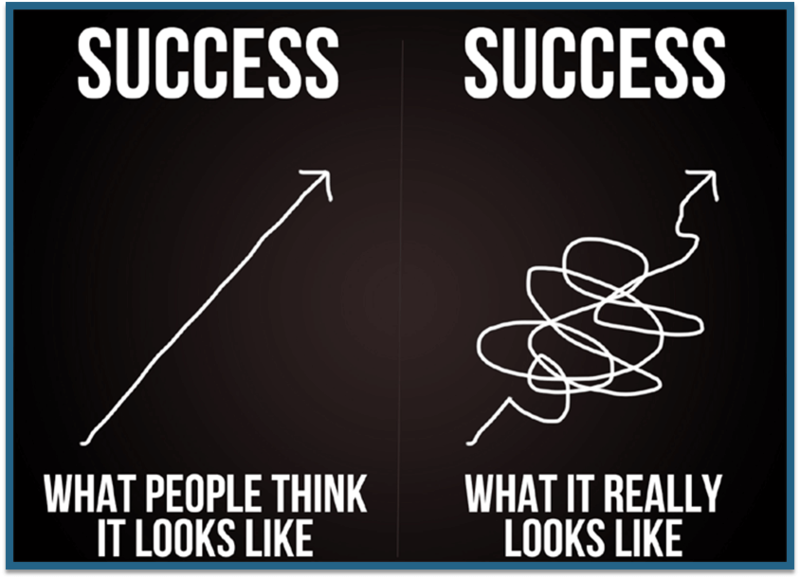 Also, the fact that success may come only after failure, and failure and failure. Just like with start-ups, success with content marketing is hard. Of course, Rand also coached that for some companies and people, content marketing is not the right channel for you at all. 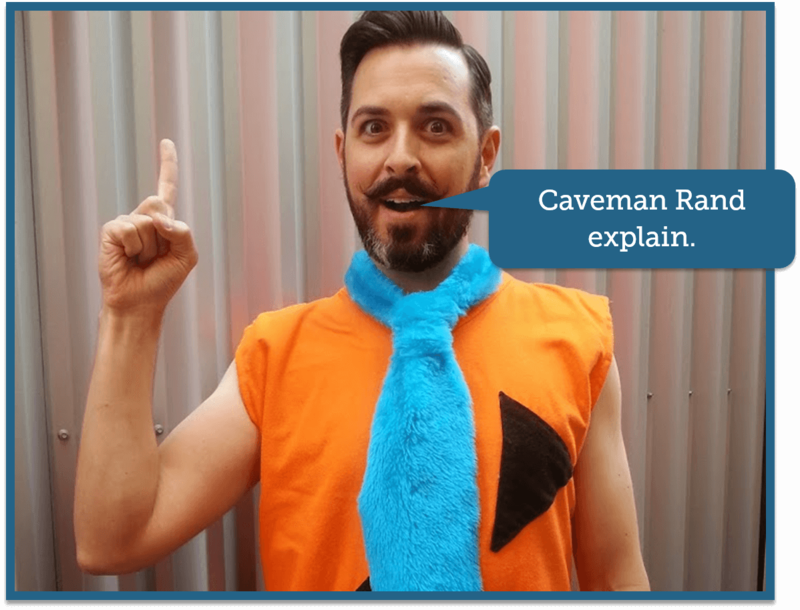 Amid the analogies, cave man talk and personal experience were five key reasons Rand believes content marketing initiatives fail. I think this is not only a problem for marketers but with company leaders. I’ve heard many CEO’s question why web traffic was skyrocketing after a single blog or press release or new SEO content. The myth is similar to “build it and they will come” – that we create content, which leads users to click on and read our content, and then a huge percentage of those that read our content convert to paid customers. Nope. In reality, it is a much more tangled web of content and behaviors involved. How content marketing really works is by building trust and relationships with people over a period of time with probably a LOT of content. In the end, Rand reminded marketers that it is OUR responsibility to make sure everyone in our marketing teams, our organizations and our boards have realistic expectations of content marketing. We all dream of creating that piece of content that goes viral, and we are instantly famous. But that happens perhaps .1% of the time. For the rest of us, having our content reach out across the digitalsphere takes work. That work, specifically, is building community around your topics, product, company or passion. 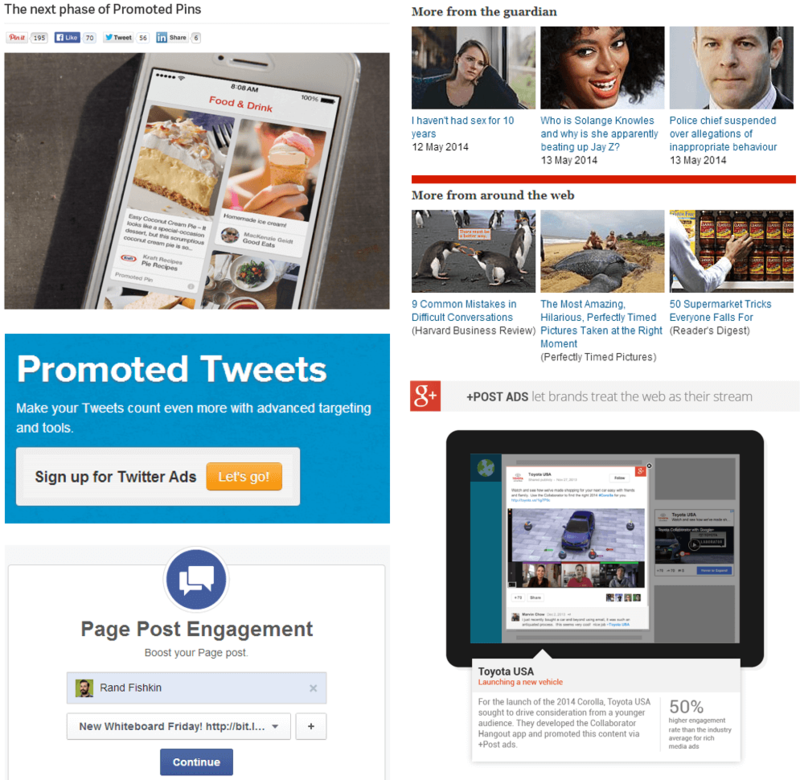 Content spreads because it inspires a community – a community that already exists. You already know what resonates with this community BEFORE you are start creating or sharing content. Or, because it reinforces a belief that a community already has. Another reason content spreads is because it refutes an opposing argument a community is passionate about. The example he gave was an article in Slate on why Twitter Is Not Dying, after many articles stating the opposite. Communities also love topics that drive group inclusion dynamics, like an interactive piece of content the drives conversation across the community or common bonds. It also helps if you can create content that makes those who share it look smart or important or worldly. This is interesting, because so often we think the contetn we create needs to make US look smart or important. But what if we focused on the community, and made them the heroes of our content? I loved Rand’s point about creating “good enough” content. As a big proponent of Agile processes, this fits in perfectly, as Rand noted that “good enough” content often performs well when a community is behind it. 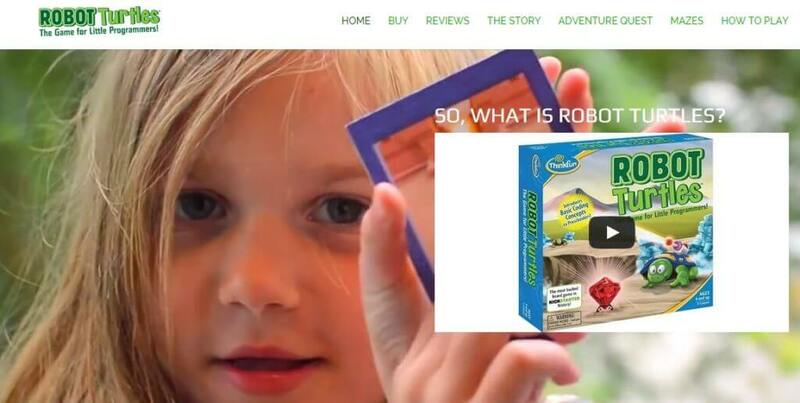 The example he gave was about a company called Robot Turtles, which was barely off the ground but built a community (and raised money) with passionate content and a clear mission about helping kids learn how to code. Yep, you have to work at promoting your content. The how and where you promote are both important. Broadcast: Social Media, Email, Events, etc. 1:1 Outreach: Social, Email, In-person, etc. Each of these has multiple channels to leverage, and different channels work for different communities, so you need to know where your target audience is. For example, if you’re going after consumers, you might want to start on Facebook. Do your research and measure your success and failures with different channels. Step 3: Identify what they’re doing right and what they’re missing out on. 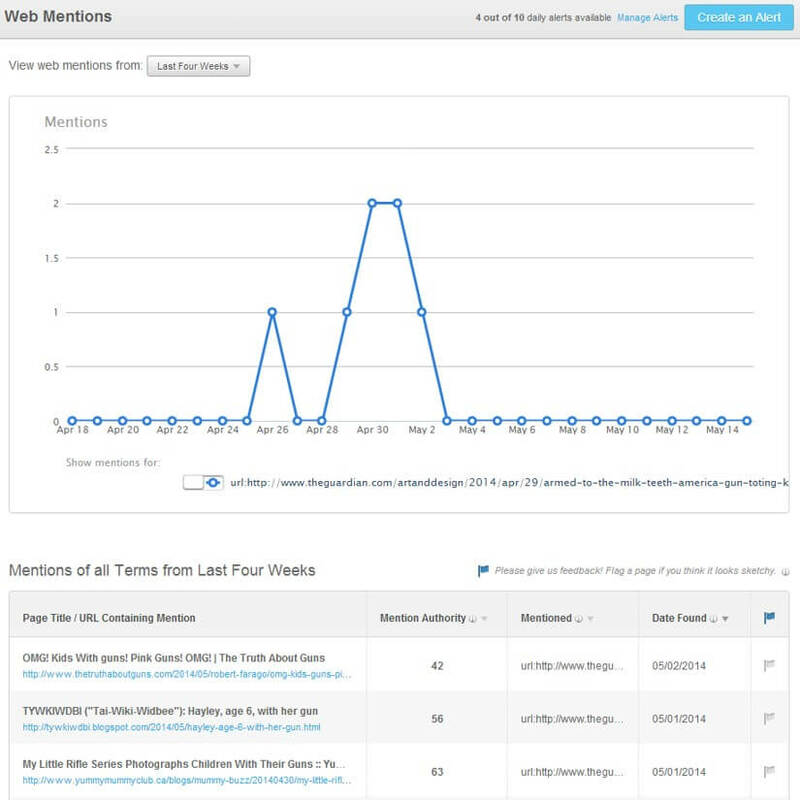 Tools Rand suggested to help you in these steps included Buzzsumo, Moz, FollowerWonk, Blind Five Year Old and Contently. And while Rand did not mention it, it’s hard for me not to give Rival IQ a plug, as we now have Twitter mentions and influencer reports that can provide great fodder for this research, as well as top social content reports based on fan engagement. As with so many marketing channels, it seems like every other day, some pundit states that SEO is dead. Even with all the power of social media and other channels, SEO is far from dead. In fact, It’s not even sick. As Rand illustrated, there are 6 BILLION searches on Google every day, and that number continues to grow. Just as Rand’s advice in Reason #3 to go beyond social media, he reminded marketers not to just look to social media for content marketing overall. SEO can bring strong, relevant traffic to your content and your business. And while some media sites have forecasted that Facebook is going to fly past Google for search, the numbers and the results just don’t support that. SEO also is critical, reminded Rand, because of the intent of the user when searching. They are in a “do things” mode, where they want something at that moment, be it information, a product a company, etc. Whereas on social media, users are typically in more of a “browse” mode, and just exploring content. Content marketing can help improve your SEO, especially if you have done your keyword research, and you are buildling content that adds fuel to your top keywords. And while Google may not give you much intelligence in the way of organic search terms, Rand suggests you do not rely just on Adwords for your top keywords. Other tools, including Moz, can fill in the gaps. In case you didn’t get the fact that good content marketing takes patience, Rand reminded us here. The 0.1% of content marketing successes always look like overnight successes, but in reality, it was a long, hard path, and probably took years, hundreds of blogs or pieces of content, intensive amplification efforts and . . .patience. But if you are expecting an overnight success or if your CEO or board thinks it’s even possible, you are going to be disappointed at best. Set realistic expectations, and do the hard work. 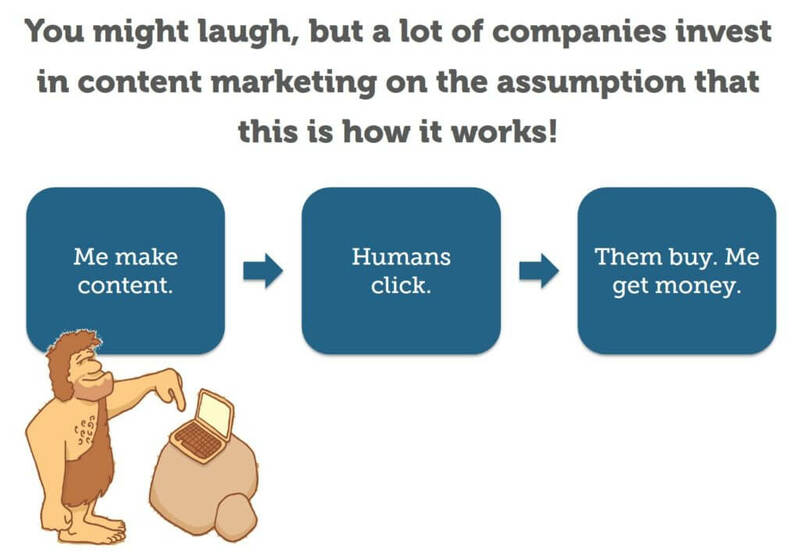 If after reading this, you realize you need to step back and rethink your content marketing, then do that. 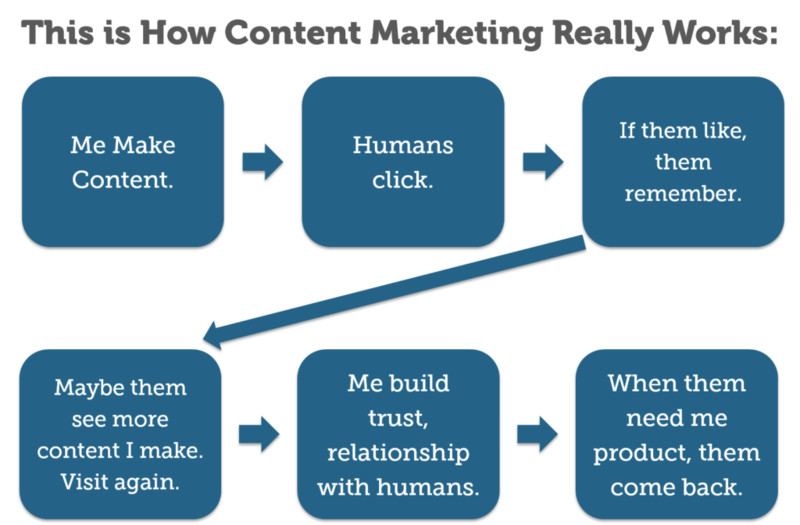 Make sure your content marketing plan includes the who, where, why, what and how. Have you done your research, or are you throwing spagetti at the wall? To review all of Rand’s slides, you can download them on Slideshare. And please share reasons you’ve experienced on why content marketing fails. Let’s all learn from each other’s failures and successes.